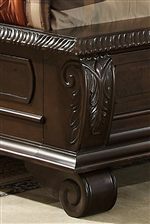 You'll have a handsome addition for your bedroom decor with this panel bed. 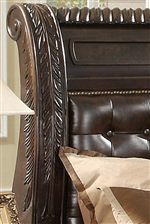 The piece carries a rich medium brown finish and features an extravagant, sleighed headboard with acanthus leafing, upholstered panels and metal studding. Plus, cherry and ash burl veneers are also included, establishing a truly stunning appearance. 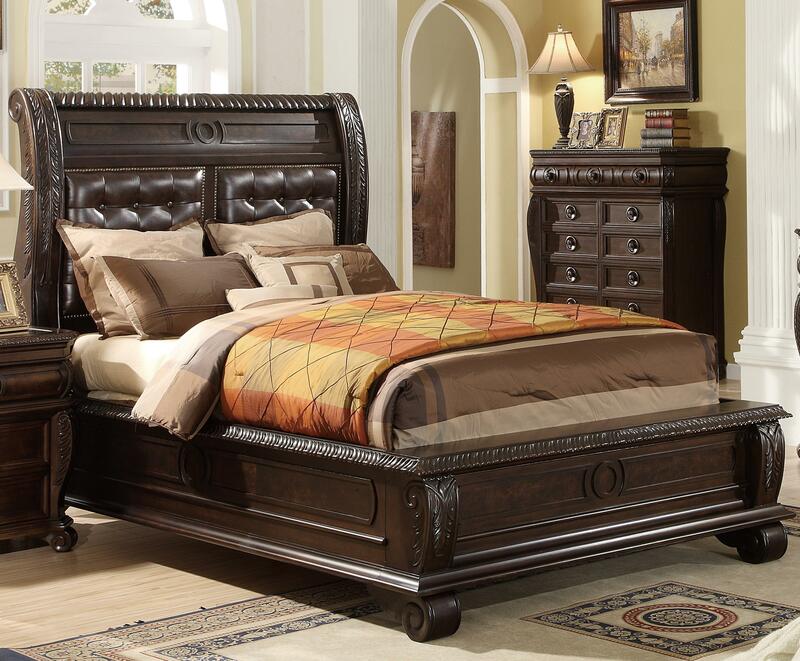 You can create an ideal sanctuary to leave the day's troubles behind you with this panel bed. This bed is available in queen, king and California king sizes. 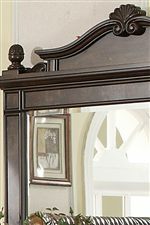 The B2160 King Panel Bed w/ Upholstered Headboard at Miskelly Furniture in the Jackson, Pearl, Madison, Ridgeland, Flowood Mississippi area. Product availability may vary. Contact us for the most current availability on this product.